March 21, 2019 | Advertising Disclosure | Our Sponsors may be mentioned in this article. 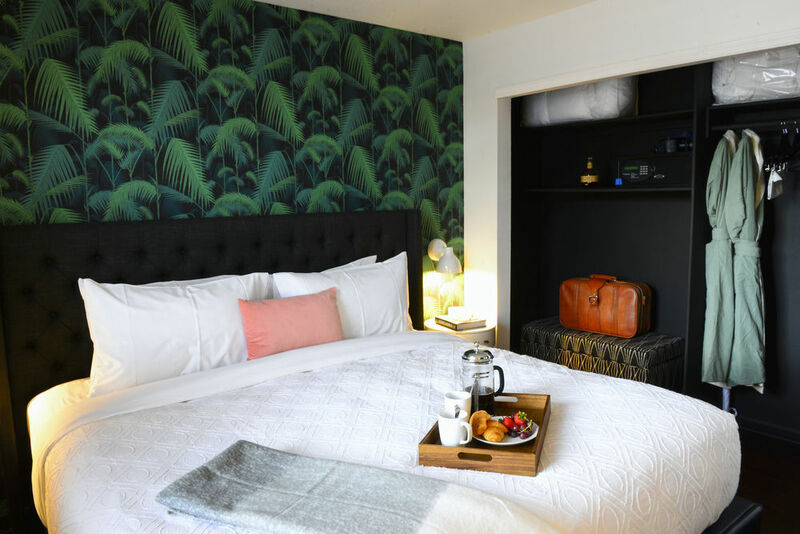 With the popularity of Nashville, it’s becoming hard to sift through all of the hotels popping up around town, but Nashville Guru’s got you covered. Here is a list of the best hotels including reasonable, trendy, cheap, and boutique options in Nashville. The best hotels in Nashville require walkability, so check out the nearby recommendations under each hotel, too. When traveling to new cities, it’s nice to know where to get coffee in the morning, lunch in the afternoon, and dinner at night. 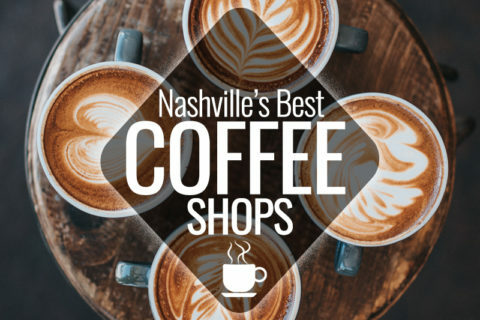 Most places listed are local joints, so while you may see a chain restaurant or coffee shop nearby, try some of these locally-owned hotspots for a true taste of Nashville.  Also, be sure to check out our Where to Stay in Nashville Guide to learn more about the neighborhoods and see the best hotels and vacation rentals in each area. People always want to know which hotels are nice, reasonably-priced, and near downtown Nashville. While pricing is relative to each individual, nice hotels in Nashville generally range from $200-$299 per night. Obviously, on really busy weekends, these hotels may be more than $299 per night. You really can’t go wrong with any of these options. Best if: you want to see a bustling local neighborhood in Nashville and are okay being a 20-minute walk from downtown Nashville. The Fairfield Inn & Suites in the Gulch is in a great location. You’re still in a bustling, busy neighborhood in Nashville, but you aren’t right in the thick of things in downtown Nashville. There are dozens of restaurants and shops within walking distance. Also, the Fairfield Inn & Suites has a great rooftop bar called UP, as well as a complimentary breakfast. 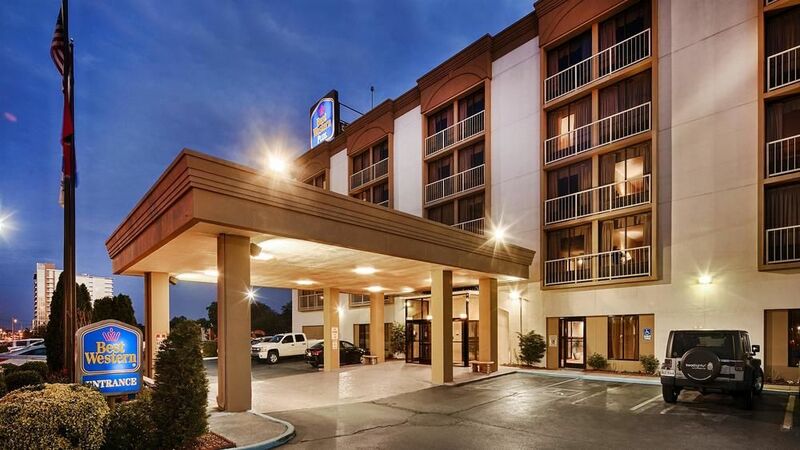 Check dates and prices at the Fairfield Inn & Suites. Best if: you want to be right downtown in the action and walk to a lot of activities and restaurants that draw more tourists. The Hilton Nashville is located in one of the best locations if you want to stay in SoBro / Downtown Nashville. This hotel is located one block south of Broadway, which is home to the famous honky tonks you’ve heard about. 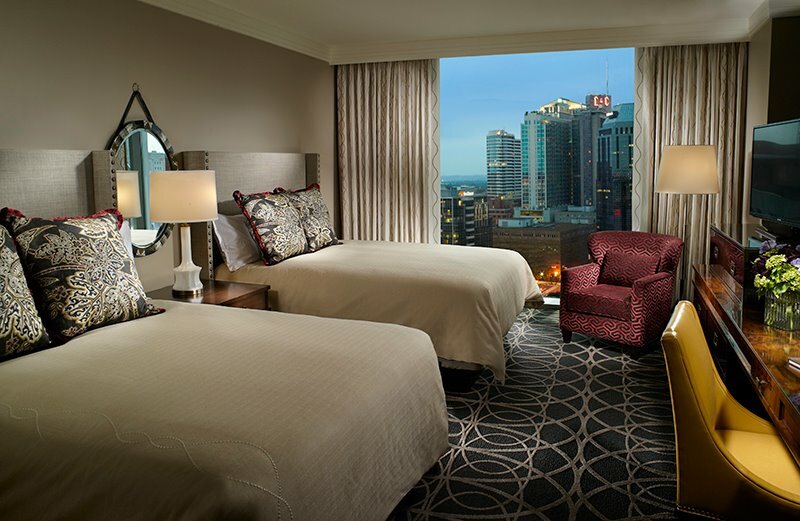 The Hilton Nashville is also very close to museums, Bridgestone Arena, and a lot of high-end restaurants. You can really get the best of both worlds in this location — the party scene and the calmer side of Nashville. Check dates and prices at the Hilton Nashville. 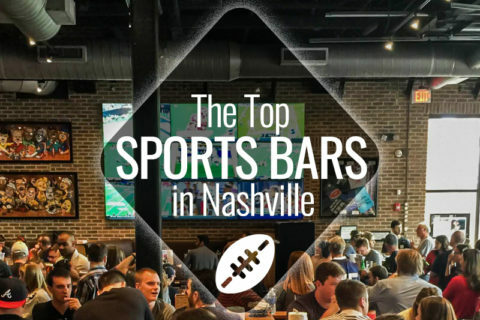 Best if: you want to be outside of the action but still close enough to take a cheap LYFT ride to downtown and other fun areas in Nashville. The Loews Vanderbilt Hotel is considered a very nice and reasonable hotel in Nashville. This hotel is located on West End Avenue near Centennial Park and The Parthenon, which is about a mile from what you may think of as downtown Nashville (where all the neon-lights and honky tonks are located). Shops and restaurants won’t be right outside the hotel doors like they are in other areas, but you can still walk to establishments on West End Avenue, Midtown, and Elliston Place. 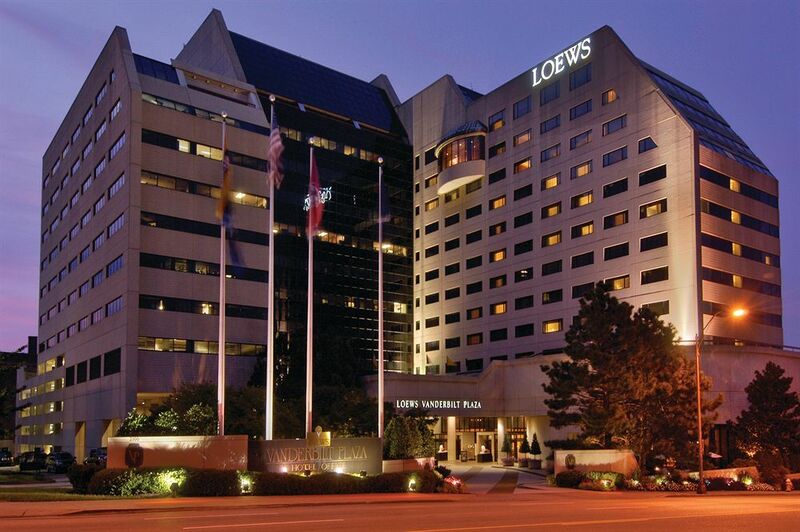 Check dates and prices at the Loews Vanderbilt Hotel. There are a couple of super high-end, trendy hotels in Nashville that are worth checking out. The Thompson Nashville is located in the Gulch and the Omni Nashville is located in downtown Nashville. Both are incredible places to stay, but you will drop $299+ per night to experience them. Best if: you enjoy doing what the locals do and don’t mind being a mile or 20-minute walk from downtown Nashville. 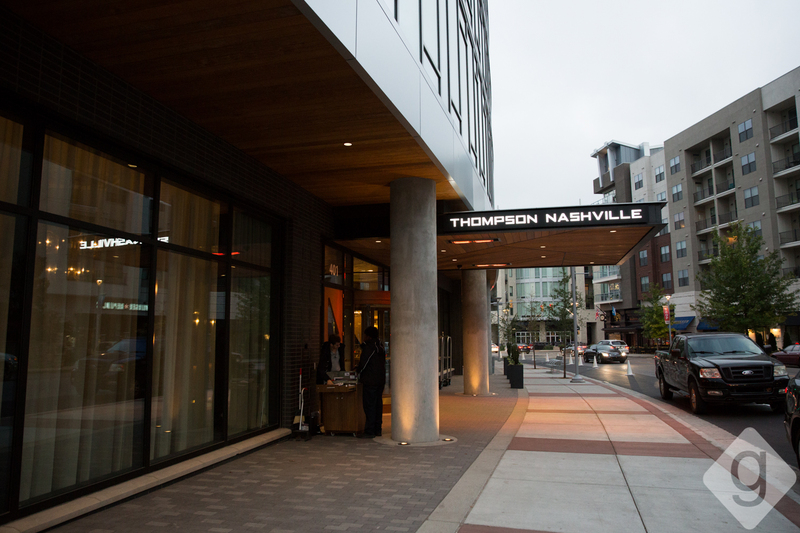 The Thompson Nashville in the Gulch is the talk-of-the-town right now. With an incredible rooftop bar, coffee shop, and high-end eatery all within the hotel, you don’t even have to leave. But you should definitely leave because it’s located in the Gulch, which is a vibrant neighborhood filled with local restaurants and great shopping. It’s also home to one of the oldest music venues in Nashville, Station Inn. Check dates and prices at the Thompson Nashville. Best if: you want to be right downtown in a really nice hotel within walking distance to a lot of restaurants and bars. The Omni Nashville is one of the nicest and trendiest hotels in Nashville. This hotel has an amazing pool and pool bar as well as a full-service spa. There are also several restaurants within the hotel including a coffee shop, bar, steakhouse, and nice restaurant. Check dates and prices at the Omni Nashville. Sometimes you just need a getaway that doesn’t cost an arm and a leg. 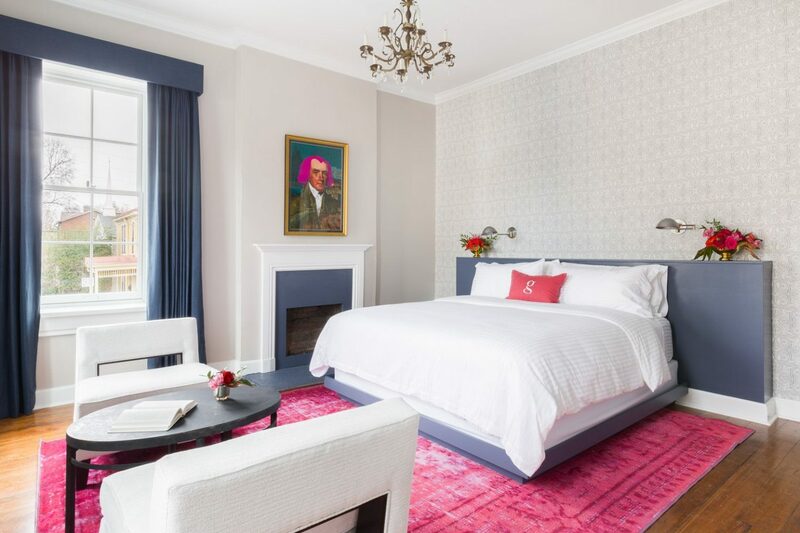 If you plan to only sleep in your hotel room because you’ll be out on the town the rest of your visit to Nashville, here are some amazing, cheap hotels in Nashville. Remember, they all have at least a 4-star rating, so these are solid options based on past visitors’ experiences. These “cheap” hotels range from $100 to $200 per night. Best if: you want a cheaper stay in a more local scene, and don’t mind walking more or taking a Lyft. The Best Western Plus – Music Row is conveniently located a few blocks from the Gulch, one of the hottest areas in Nashville. You can easily walk to the Gulch (0.3 miles), Demonbreun (0.3 miles), Midtown (0.4 miles) and downtown Nashville (1.0 miles). If you asked for an affordable place to stay, this would be a top recommendation. Obviously, pricing will depend on the week you come to Nashville, but they seem to keep the rates consistently reasonable for how popular the city is right now. Check dates and prices at the Best Western Music Row. Best if: you plan to be a super tourist and spend most of your visit in downtown Nashville. 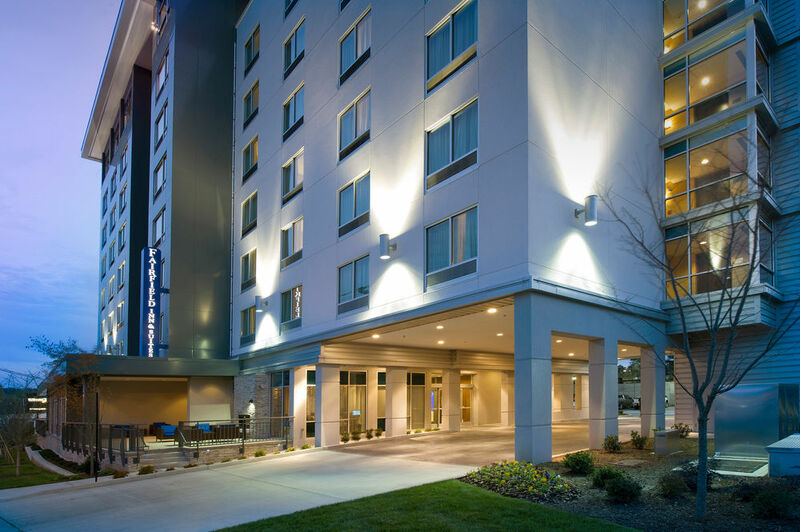 The Holiday Inn Express Nashville – Downtown is in the perfect location if you want to spend a lot of time in downtown Nashville (0.3 miles). It’s located right on Broadway, which is also the street all of the “honky tonk” bars are located. You could also easily walk to the Gulch (0.3-0.6 miles) and Demonbreun (0.6 miles) areas from this hotel. While this hotel has raised rates as Nashville has grown, it still has a lot to offer and is cheaper than staying at one of the fancier hotels that require zero walking. Rates will fluctuate depending on your travel dates. 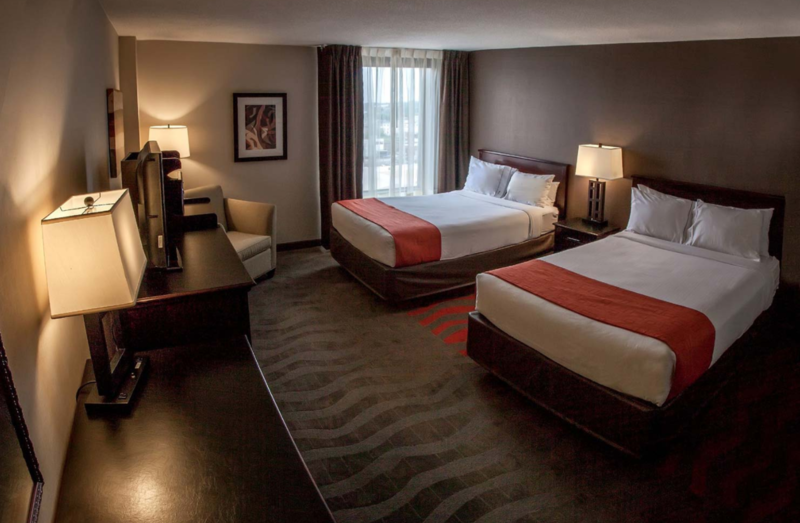 Check dates and prices at the Holiday Inn Express Nashville – Downtown. Best if: You want to party hard but do it with the locals. Home2 Suites by Hilton Nashville Vanderbilt is located in Midtown, which is an area with a lot of late-night bars but also some really nice restaurants. From this hotel, you can easily walk to Demonbreun (0.3 miles) and the Gulch (0.6 miles). Downtown Nashville is about a mile away or a 20-minute walk. This is a smaller hotel, but it’s also a newer hotel, so the amenities and rooms are pretty nice. Check dates and prices at Home2 Suites. You’re probably visiting Nashville because you already know it’s a town that’s growing like crazy. Part of that growth has included creatives opening incredible small, boutique hotels and bed and breakfast concepts. We couldn’t write a guide to the Best Hotels in Nashville without mentioning four of these properties. If you want a super local and personal feel, check out SoBro Guest House, Germantown Inn, The 404 Hotel, and Urban Cowboy. SoBro Guest House is located in the SoBro area of downtown Nashville and has been getting rave reviews. There are 24 rooms and each one is impeccably designed. You’ll feel right at home in this cozy independent hotel. Check dates and prices at SoBro Guest House. 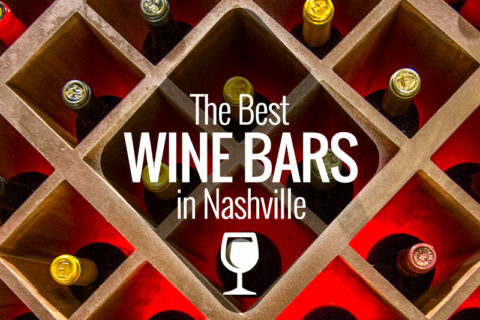 Germantown Inn is located in one of the best neighborhoods in Nashville — Germantown! If you truly want to live like the locals live while you visit, this might be the spot for you. There are only six suites in this quaint inn, so be sure to book early. Check dates and prices at Germantown Inn. Best if: you like a luxurious atmosphere located in the heart of one of Nashville’s most popular areas. The 404 Hotel is hidden away in the Gulch. 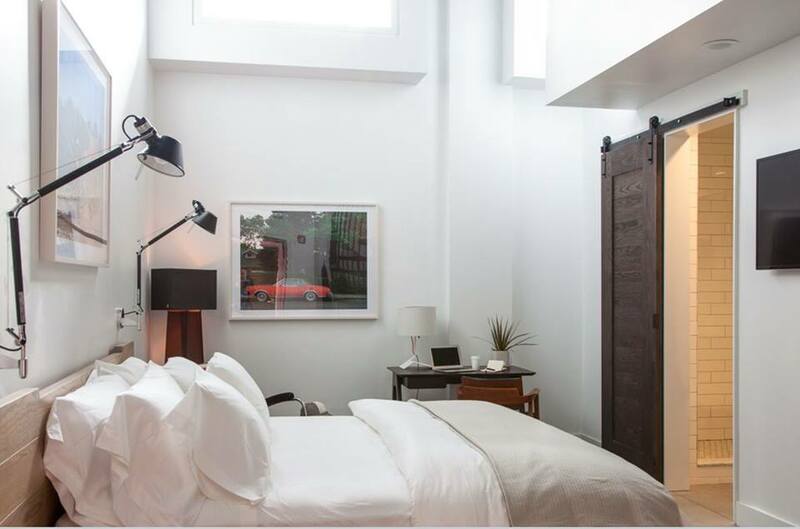 This boutique hotel only has four suites, paying close attention to quality over quantity. Guests receive two complimentary drink tickets to the The 404 Kitchen across the street, which previously occupied the lower section of The 404 Hotel. Check dates and prices at The 404 Hotel. Best if: you love a music and arts scene and mingling with fellow travelers and locals. 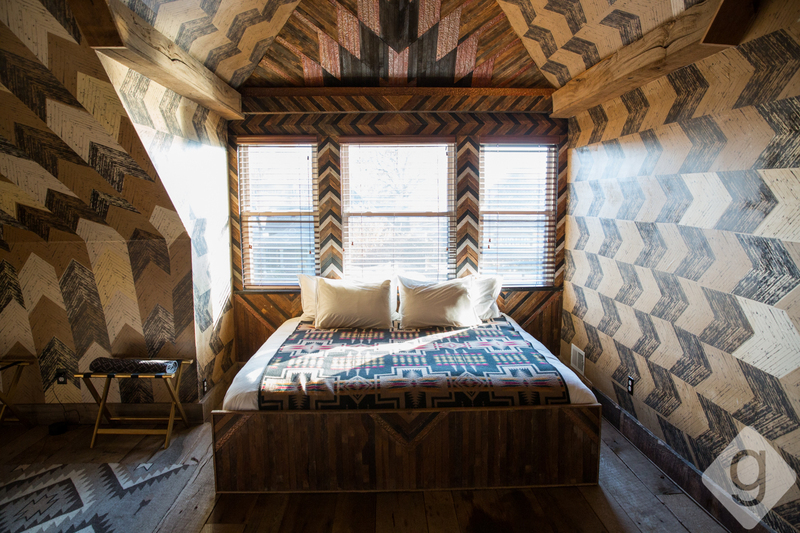 The Urban Cowboy is a bed and breakfast in East Nashville that is a very special place to stay. There are a total of seven suites at the Urban Cowboy. This is a particularly great place to stay if you’re a musician. The common rooms downstairs often fill with talented musicians jamming together. There is also the Public House behind the Urban Cowboy that is open for dinner nightly. Check dates and prices at Urban Cowboy. 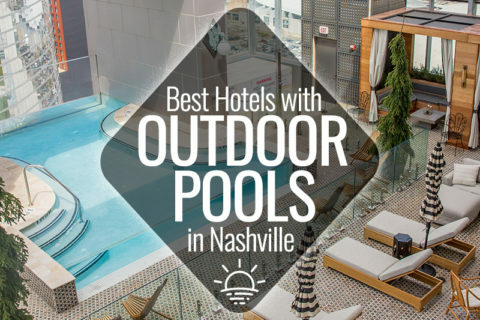 Did you have a great experience at another Nashville hotel? Let us know in the comments! One Comment on "Best Hotels in Nashville"
Your site is extremely helpful. Thank you very much.